New Graduate Student Welcome is Wednesday, August 28, 2019. Mark your calendar now for a great event! 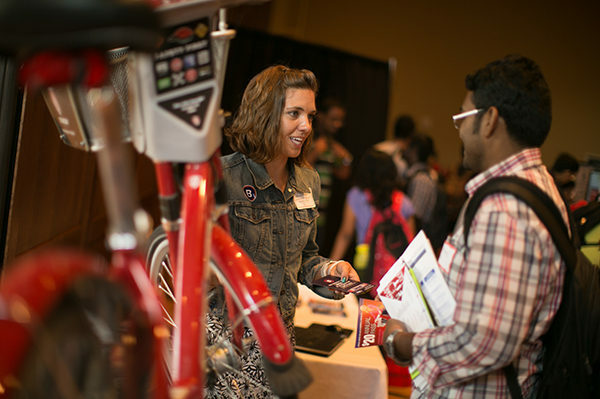 The New Graduate Student Welcome features a resource fair with over 40 campus and community services exhibitors. 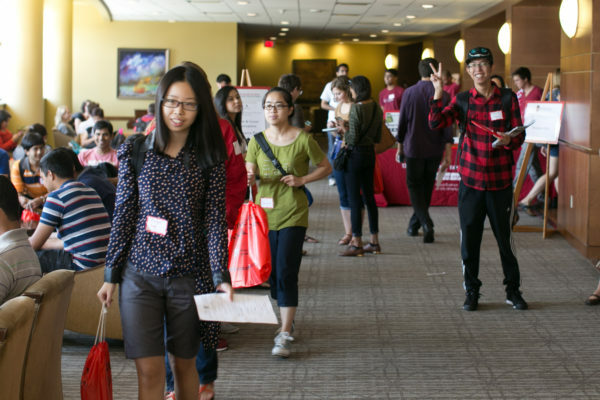 Learn how UW-Madison services support your academic success in graduate school at New Graduate Student Welcome. A panel of seasoned graduate students answers the large and small questions at the New Graduate Student Welcome. Campus leadership welcome graduate students and kick off the New Graduate Student Welcome reception. Congratulations on your admission to the University of Wisconsin–Madison! The Graduate School offers support and resources to help you transition to life as a graduate student. Starting in May, newly admitted graduate students receive a series of emails from the Graduate School. In case you missed it, you can read the May 2018 message here and the June 2018 message here. The University Apartments community serves UW–Madison graduate students, students with families, postdoctoral researchers, academic staff, and faculty. Find the vibrant student life in Madison! The Office of Fellowships and Funding Resources is the place to start when looking for graduate assistantships or fellowship funding for your graduate education. The Office of Student Financial Aid can also help. It’s never too early to start planning your path to success! Check out the Office of Professional Development’s online resources and mark your calendars for workshops. This weekly e-newsletter is a valuable source for information related to fellowships/funding, professional development workshops and events, academic deadlines and other timely information of interest to graduate students and postdoctoral scholars. 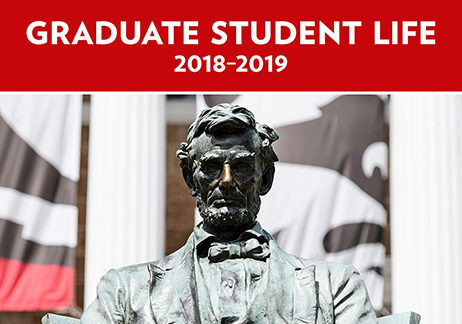 Graduate Student Life is a valuable resource throughout your time at UW–Madison. Find information on housing, where to shop for food and necessities, what to do on a night out, and tips for staying healthy. Graduate Student Life is also available through the Guidebook mobile app. Download the app to your device or view online. Attend New Graduate Student Welcome. Visit your program’s office, meet your graduate coordinator and faculty advisor, and plan to attend program orientation activities. Enroll in classes (fall 2018 new grad student enrollment opens July 9). Pay your tuition and segregated fees (even if you have tuition remission, you usually still have to pay segregated fees). Find rates here. Get your Wiscard (campus ID card). Note: You must register before you can get your Wiscard. Use (or forward) your WiscMail account, the university’s official method of correspondence. Update your mailing address and phone number in MyUW. If you haven’t done so yet, submit final transcripts to the Graduate School Office of Admissions, 232 Bascom Hall. If you have a need related to a disability, contact the McBurney Disability Resource Center. Pick up your free Madison Metro bus pass during Welcome Week. Complete the online sexual violence prevention program, required for all new graduate students. Check in with International Student Services (ISS) within 1-2 days of your arrival. If you are employed and on a J-1 or F-1 visa, sign up for a social security number. If you are required to take the English as a Second Language Assessment Test (ESLAT) as a condition of your admission, do so immediately upon arrival. If you received federal or state financial aid, update your mailing address in My UW and contact the Office of Student Financial Aid with questions. If you are a TA, PA, RA, Fellow, or Trainee learn about benefits from the Office of Human Resources. The Graduate School invites all newly admitted graduate students to attend the Fall New Graduate Student Welcome event each year. The Welcome is an opportunity to mingle with Graduate School deans and staff and other campus leaders, hear from a panel of current students about grad student life, learn about the many campus and community resources available to you, and meet other new graduate students from across campus. Below is a sample agenda from the 2018 New Graduate Student Welcome, as well as information session resources for graduate students. Check back for details about 2019 New Graduate Student Welcome in summer 2019. This session is specifically designed for new graduate students who have fellowships in the 2018-2019 academic year. Information will be provided about the rights and responsibilities you have as fellows. Topics will include: your pay schedule, tuition and seg fees, health insurance eligibility, full-time study and satisfactory progress, income tax issues, concurrent appointments, and funding beyond the fellowship years, and more. Representatives from more than 40 campus and community services answer your questions and provide assistance. Visit their tables and talk in person with informative individuals. View a list of organizations and campus units that were represented at the fair. NOTE: Both 35-minute sessions have the same content, so plan to attend either at 11:45 or at 12:30. A panel of seasoned graduate students will answer the large and small questions you have about everything from what can make your graduate student life easier and less stressful to establishing and maintaining relationships with faculty and staff in your program. Campus leadership will welcome graduate students and kick off the reception. 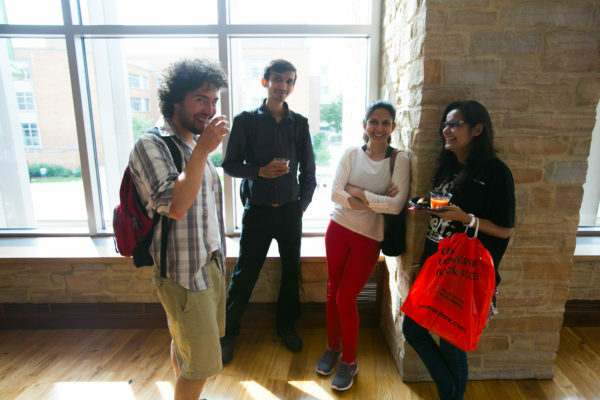 Enjoy refreshments at this informal reception as you get to know people from the Graduate School, from your own program, and from across campus. The Graduate School Office of Professional Development is committed to graduate students’ academic and professional success. Our mission is to coordinate, develop, and promote learning opportunities to foster the academic, professional, and life skills of graduate students. Professional success encompasses many paths, whether graduate students pursue careers as faculty members or in an array of exciting opportunities in the private sector or public service. Each semester we host a series on career development, Beyond the Tenure Track, addressing topics like transferable skills, interview preparation, and networking. We maintain a campus subscription to the Versatile PhD, an online resource to help graduate students identify and prepare for non-academic careers. We encourage graduate students to be proactive and intentional in planning their paths to success. Use of an Individual Development Plan (IDP) is recommended for all graduate students at UW–Madison. To support graduate students and their mentors in developing IDPs, we offer a collection of resources, face-to-face workshops, and planning tools. The Office of Professional Development coordinates skill-building opportunities in a variety of areas. 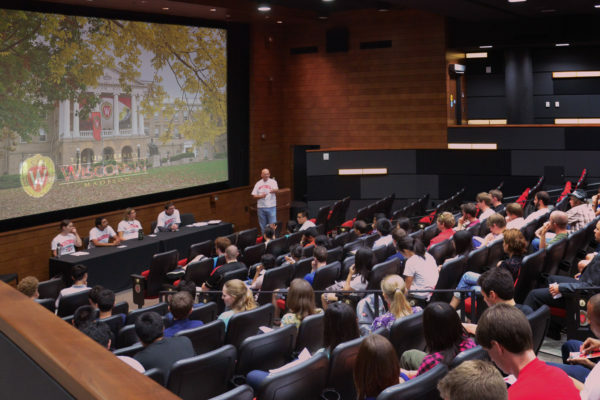 The office and units across campus offer over 100 professional development events each semester. The Office of Professional Developments sends GradConnections Weekly to all graduate students to keep them abreast of these opportunities, as well as funding opportunities, deadlines and announcements. To engage with and learn more about the Graduate School Office of Professional Development, visit our website, grad.wisc.edu/professional-development, follow us on Twitter @UWMadGSEd, and Facebook, or email us at gspd@grad.wisc.edu. NEW! Writer’s Retreats and Outdoor Writer’s Retreats – several of these concentrated opportunities to write in a supportive atmosphere are offered throughout the semester. More information is available at the Writing Center’s website, which is a great resource for keeping track of all of the workshops and other services being offered during the semester. The Grants Information Collection is the place to go for information on academic grants. The collection website contains workshop materials, access to databases, and an online workshop called Grants for Your Education. Do you have specific grant-related questions? Graduate students can contact the Grants librarian directly, or schedule an appointment for in-person research help at the Collection office, located on the 2nd floor of Memorial Library near the Reference Desk in Room 262.
advising students on their appointments. offering students a step-by-step guide to finding funding. providing workshops on finding funding to support graduate education. promoting major external fellowship programs to which students may apply. maintaining a list of major external fellowships. administering a variety of internal and external fellowship competitions. advising faculty and staff on the administration of different appointment types. In addition, Software Training for Students (STS) offers a wide variety of free software classes throughout the semester that are open to all UW–Madison students. These range from classes designed to improve expertise in basic office software (such as Word and Excel) to those that provide an introduction to many more specialized software packages especially helpful to graduate students. Classes are searchable by topic and date, and online registration is available. View the presentation slides from the 2018 New Graduate Student Welcome information sessions. Each fall the Graduate School offers a line-up of events during the week before classes begin to welcome and help acclimate new graduate students to campus and to welcome back current graduate students. Below are the events that took place in fall 2018. When Soyeon Shim was a young girl growing up in Korea, at dinner every day her dad would ask his children if they had done anything to earn the food set before them. This challenge, and the sense of purpose it instilled, has guided Soyeon ever since, helping her to design her life, and prototype and build the kind of career and personal relationships needed to achieve happiness and fulfillment. She has learned first-hand that a successful design for living must balance personal and professional interests and nurture the collaborative bonds with family, friends and colleagues. In this talk for UW-Madison graduate students, with design thinking as a framework, Soyeon will describe her ongoing life-design project and the lessons she’s learned along the path to achieving it. Dean Shim will conclude the session with a Q&A. Please plan to join us for refreshments at a reception after the talk. This event is sponsored by the Graduate School Office of Professional Development. Want to make graduate school a time to thrive and not just survive? This workshop will focus on promotion of psychological well-being in graduate school. Topics covered will arm graduate students with strategies to thrive through the challenges of graduate school, including managing the transition/adjustment process, coping with stress, promoting work/life balance, and establishing habits to maintain or improve mental health. This event is co-sponsored by the Graduate School Office of Professional Development and University Health Services. In this interactive workshop, you will learn tips and techniques for staying on track and managing your time. We’ll cover goal-setting, minimizing distractions and staying focused, and overcoming some of the most common challenges to staying on task. Participants will leave with strategies that they can apply immediately. The strategies we’ll cover are appropriate for students in any discipline. 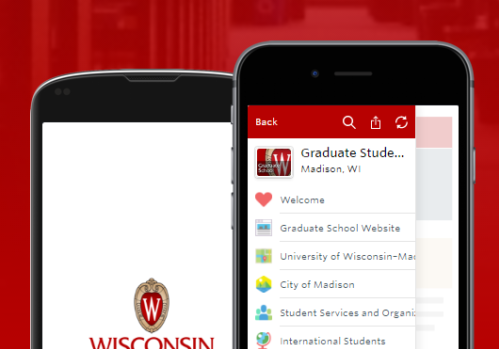 Prepare to maximize your time and energy this semester by taking advantage of software available to UW-Madison graduate students that can help streamline your workflow. This hands-on workshop, presented by Software Training for Students (STS), will introduce you to both basic and advanced software tools, including cloud storage services, notetaking apps, mobile scanners, research tools, tasks managers, password managers, lifestyle apps, and more. This event is co-sponsored by the Graduate School Office of Professional Development and Software Training for Students (STS). 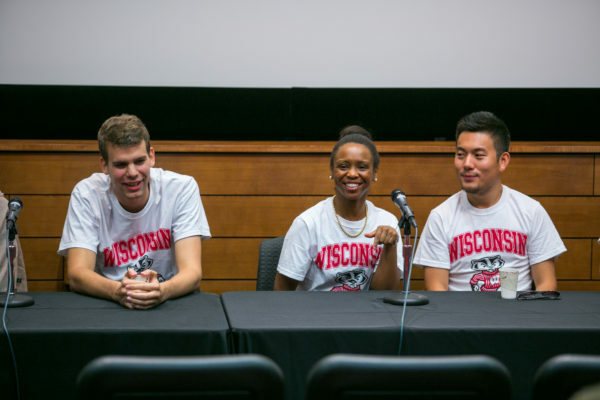 The Multicultural Graduate Network, through the Graduate School at UW-Madison, kicks off the start of a new school year with a large celebration to invigorate the vibrant community of graduate students on campus. See the race maps on the Degree Dash 2018 page. Get your semester off to a fast start! 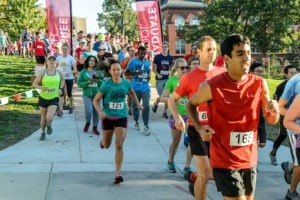 Join fellow graduate students, faculty and staff for the 3rd Annual Degree Dash hosted by the Graduate School at UW–Madison. Set your goal for 5.76 miles for the Doctoral Derby (no, you don’t have to be in a PhD program to participate), or for 1.82 miles for the Master’s Mile (for those who need to “graduate” early). Race distances are based on average time-to-degree. You will meet fellow students, faculty and staff, tour campus, have your photo taken with Bucky, come away with a t-shirt or water bottle, and gather information that will help you to start your semester off quickly. And the best part is, whether you come in first or last place, you’ll get a diploma at the finish line. All are encouraged to participate in this event – new and current graduate students, faculty, staff and family members. Teams are encouraged and eligible to win prizes. Building cultural competence is critically important for graduate students and professionals across all disciplines. This interactive talk introduces graduate students to the concepts of implicit or unconscious biases and assumptions about diverse groups of people by treating the application of such biases as a habit of mind. Students will learn how to uncover their own biases, discover the underlying concepts and language used in the psychological and social psychological literature to describe such processes, and learn evidence-based strategies for reducing the application of these biases as they cultivate relationships with people from different backgrounds, experiences, and cultures.